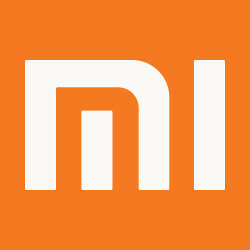 During the month of April, the latest month on record, Xiaomi was the top vendor of smartphones in China. The country remains the largest market in the world for intelligent phones, but is in the midst of a slow down. Almost everyone in the country with a desire to own a smartphone, has already purchased one. The CEO of Chinese research firm Sino shared a chart with visitors to his Weibo page today, and it revealed that Xiaomi was responsible for a leading 26% of smartphone sales in the country last month. 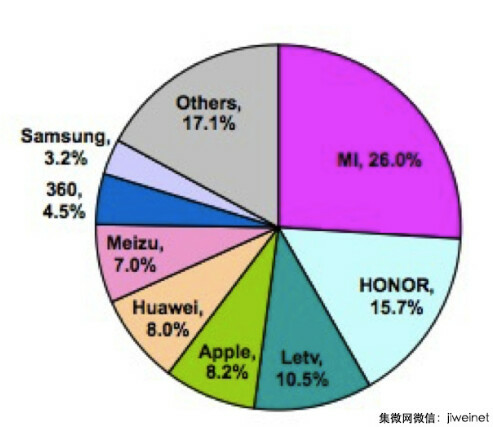 The honor brand belonging to Huawei was next with a 15.7% slice of the Chinese smartphone pie. LeTV managed to take third place with a 10.5% share of the market. Coming off a rough fiscal second quarter (January through March), a period that saw iPhone sales decline 26% in the Greater China region year-over-year, Apple had an 8.2% market share for April. The Greater China region includes mainland China, Hong Kong, Macau and Taiwan, and counts them as if they were one cohesive market. Global leader Samsung managed to tally just a 3.2% share, which puts the brand squarely on the bottom of the list. In between Apple and Samsung, Huawei had an 8% share with Meizu just one percentage point behind. Probably based on online sales. Seems like Lenovo didn't make it to top 8 either. Can't help but Laugh at Samsung. They are falling victim of their own marketing in Greater China. Now that Chinese brand are giving bigger spec with lower price no one want to get Samsung phone. Situation will only go worse for Samsung in this region. They're putting out the best smartphones on the market, and I'm able to buy them. That's all that matters to me. It will get worse for POS Apple as well, when they wise-up just like the rest of the world. They are still behind the times. please dont talk bulls**t... people how dont mind to spend 700-800 usd for a smartphone they simpley will go for an iphones 6s or galaxy 7/edge. why should someone buy a volkswagen (wich is good brand) when you got milions on your bankaccount? China is about healthy capitalist competition, there's no Apple Samsung duopoly in China. Denials gonna deny but fact has proven once again. What created this duopoly? 'Healthy capitalist competition'. Yeah that's right, no government backing / restrictions like Chinese intervention. No copycat companies becoming success stories. The Greater China region includes mainland China, Hong Kong, Macau and Taiwan !! Why is the Taiwan included ? You must be kidding me Phonearena !! Show some respect, and knowledge ! Apply ice cold water on burned area. Technically Huawei was 2nd with 23.7% then. I just bought the Xiaomi Mi5 3 weeks ago, best phone I have ever owned in terms of battery life, my top criterion. Perfect size and weight too - my second criterion, compactness without being too small.